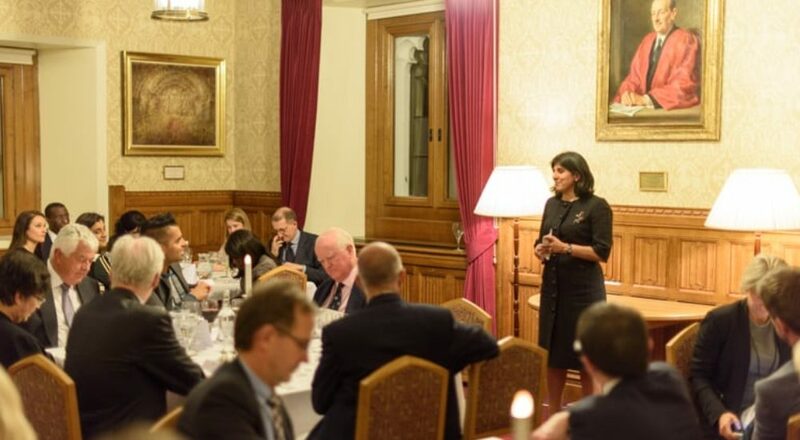 Audeliss were delighted to host our Chairman’s Dinner at the House of Lords, held in partnership with The Rt Hon. the Baroness Prashar CBE. Following the recent Parker Review revelation that 53% of the FTSE lack a single non-white Board member, the event provided a rare opportunity for thought-provoking discussion on driving ethnic minority diversity at Board level. Manjit Wolstenholme, Chairman at Provident Financial Group spoke about her personal experience as an ethnic minority leader on a variety of Boards, and Baroness Prashar, whom Audeliss recently appointed as Non-Executive Director of Nationwide, drew on invaluable insights from her 45-year career across the not-for-profit and public sectors to lead the conversation on driving diversity and inclusion. The guest list comprised of Chairmen, CEOs and Board level executives from the UK’s leading organisations. They provided a variety of experiences and insights, informing a passionate and inspiring conversation. Whilst discussion involved the merits of mandatory Board targets and anonymised CVs, the final consensus favoured education of the benefits of diversity and inclusion, with agreement that allies and role models are vital in helping to pave the way for increased ethnic minority representation in senior leadership.